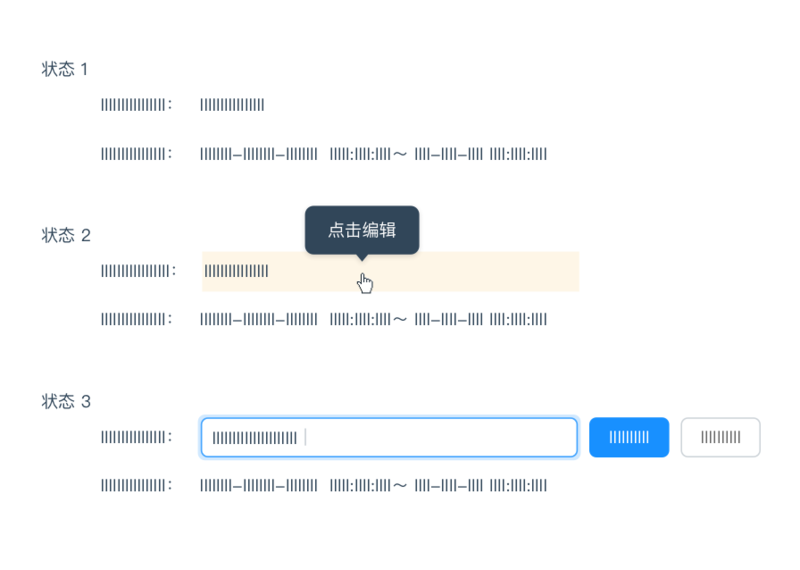 Status 3: Once the user clicks on the title, the form elements 『Input box』, 『Ok』 and 『Cancel』 appear, and the cursor is positioned in the 『input box』. 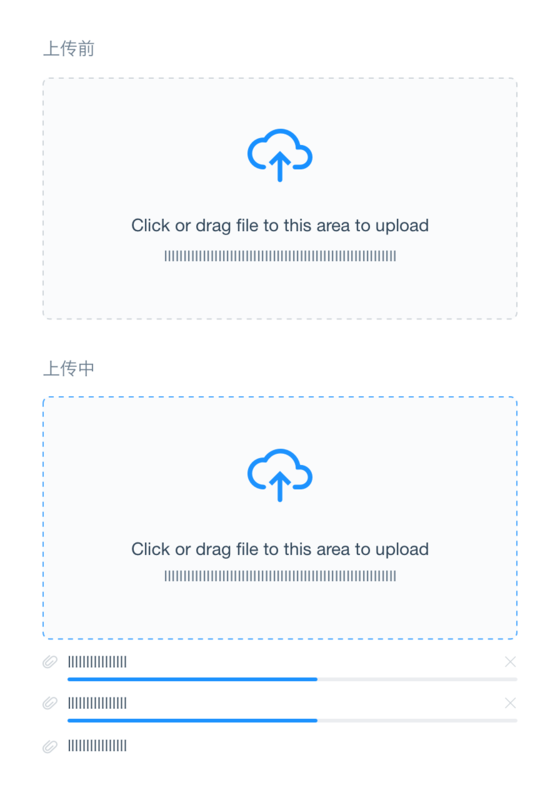 If 『readability』 is more important than 『editability』, 『click to edit』 can be used. Status 2: Once the mouse clicks 『edit』,the form elements 『Input box』, 『Ok』 and 『Cancel』 appear, and the cursor is positioned in the 『input box』. If the priority is given to 『readability』 and the 『editability』 of operation lines need to be highlighted at the same time, 『text link/icon edit』can be used. 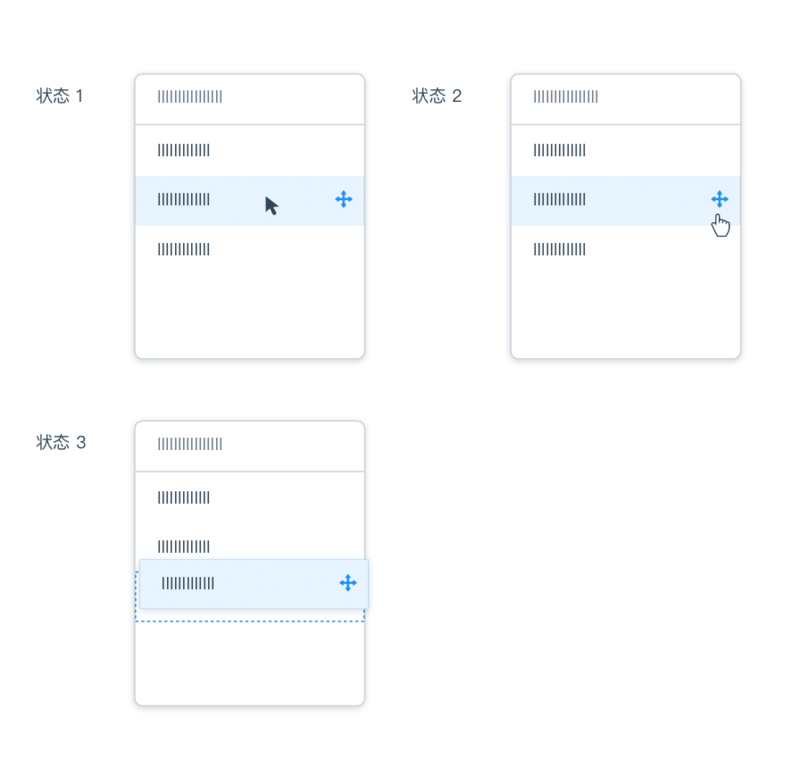 Edit mode without destroying integrity can enlarge the space in order to put down the 『Input box』 and other form elements. Besides, when switching the edit mode in the Table, it is necessary to ensure that each column does not beat. 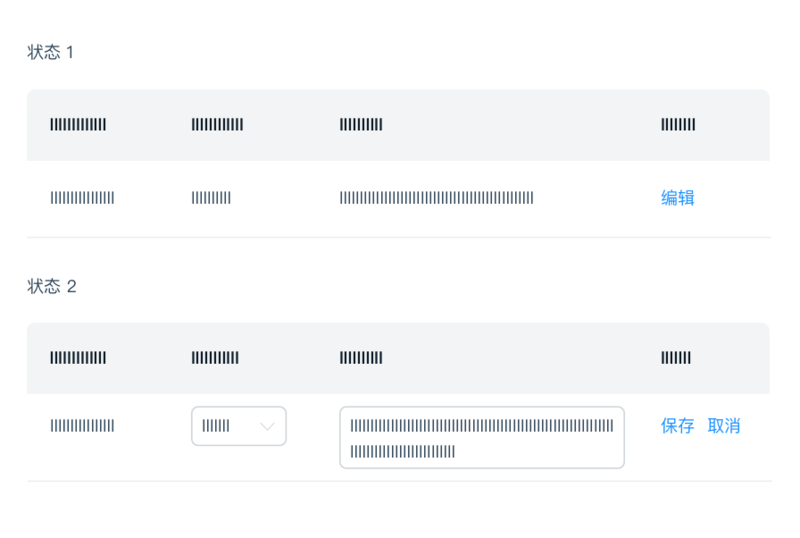 Note：In『Multi-Field Inline Edit』, there are huge different between the content and required field, So it is more needed to use the 『Explain What Just Happened』 in 『Use Transition』to eliminate this visual effects. Status 3：Drag target to the placeable block. When blue stroke appears, inform user that object can be placed in the block.